SimplyGo Joints is a premium-quality, and innovative formula providing 11 active ingredients to help support individuals who enjoy an active lifestyle. The key ingredient in this supplement is glucosamine powder. Although glucosamine is naturally occurring in the body, certain factors such as advancing age, injury, and medication usage can negatively affect the body’s ability to produce this compound. As food sources of glucosamine are famously scarce, millions around the world are choosing to supplement with glucosamine powder on a daily basis. The high amounts of glucosamine are strengthened by the inclusion of other premium grade nutrients such as chondroitin, collagen, MSM, ginger, rosehip, hyaluronic acid and curcumin. 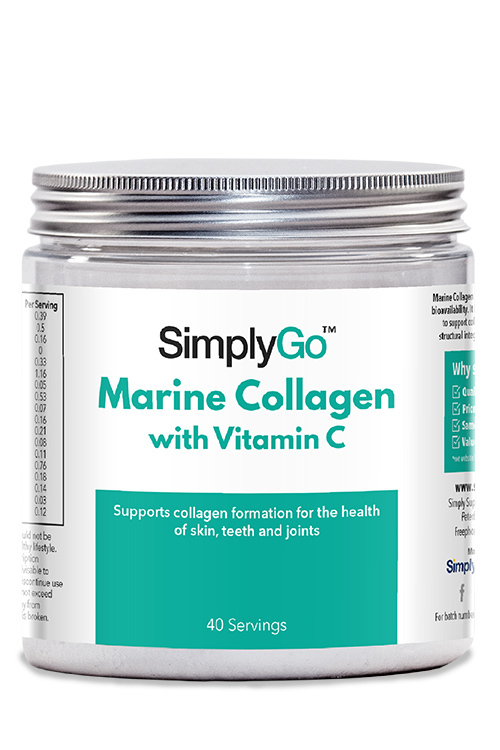 To boost this innovative formula even further, each powder sachet of SimplyGo Joints provides 100% of the Nutrient Reference Value (NRV) of both vitamin C and manganese, two nutrients which are deemed essential for health. 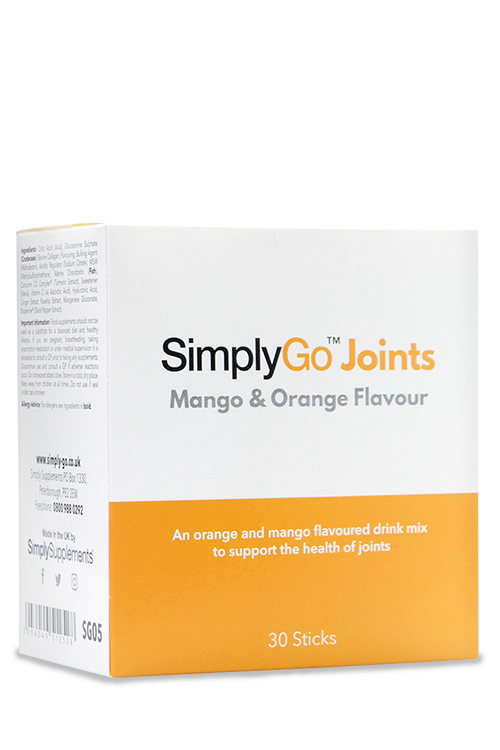 What Are the Benefits of SimplyGo Joints? 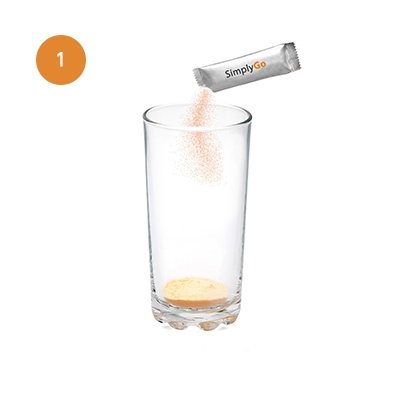 SimplyGo Joints is a perfect dietary addition for those looking to support the health of the skeleton and maintain an active lifestyle. 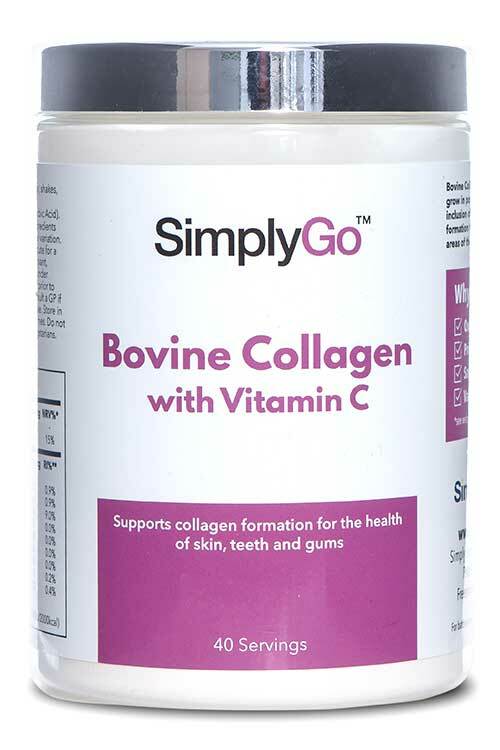 The European Food Safety Authority (EFSA) has authorised the claims that vitamin C contributes to collagen formation which promotes the healthy workings of bones and cartilage. Manganese has been added to work synergistically with vitamin C, as EFSA state that manganese not only contributes to bone health but also supports our connective tissue. This means that this product can assist the health of joints from numerous angles! 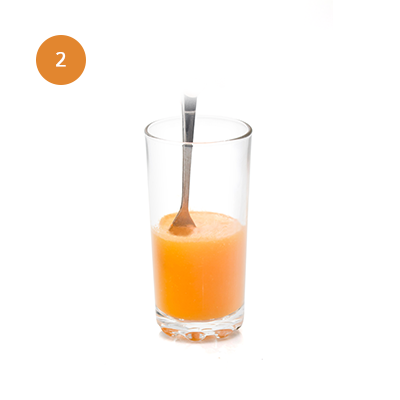 Simply add one powder sachet to 250ml of water to obtain a tasty mango and orange flavoured beverage which is packed full of key nutrients. 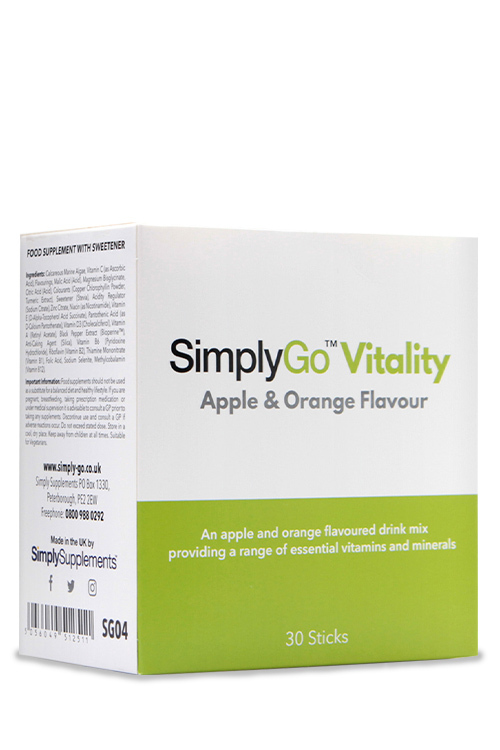 The demands of a busy and active lifestyle can take its toll on our health and wellbeing, which is why we have developed the SimplyGo range: convenient, easy to use sachets which can be taken with you on the go and simply mixed with water to create a refreshing and nutritious drink. They also represent a great alternative for those who do not like swallowing tablets or capsules. 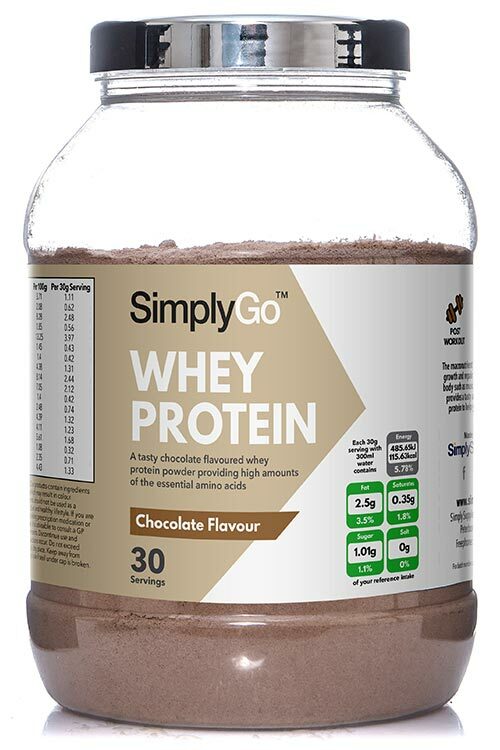 At Simply Supplements, consistent quality is of the highest priority. 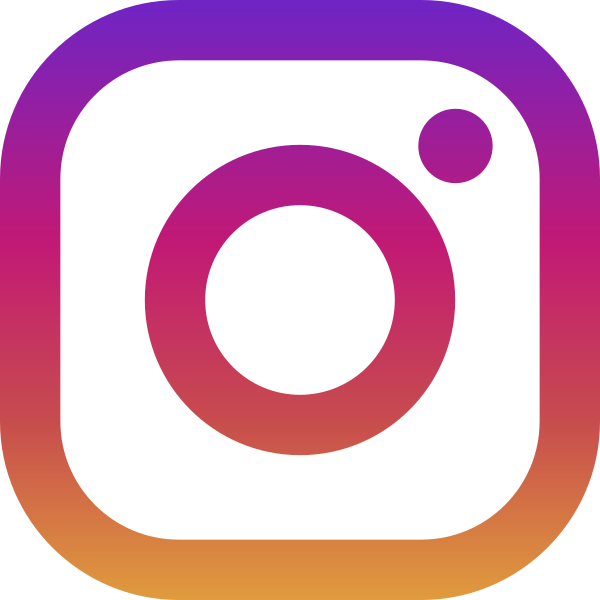 Because of this, all our products are manufactured in the UK and adhere to the Good Manufacturing Practice (GMP) standards and undergo rigorous testing to ensure our customers receive supplements that are true to their label claims, high in purity and free from foreign contaminants. Ingredients: Citric Acid (Acid), Glucosamine Sulphate 2KCl (Crustacean), Bulking Agent (Maltodextrin), Bovine Collagen, Flavouring, Acidity Regulator (Sodium Citrate), MSM (Methylsulfonylmethane), Marine Chondroitin Sulphate (Fish), Curcumin C3 Complex® (Turmeric Extract), Sweetener (Stevia), Vitamin C (as Ascorbic Acid), Sodium Hyaluronic (Hyaluronic Acid), Ginger Extract, Rosehip Extract, Manganese Gluconate, Bioperine™ Black Pepper Extract. Directions: Mix one 9g stick to 250ml water, once a day. Allergy Advice: Manufactured on equipment which processes products containing nuts, milk, shellfish, fish and soya. 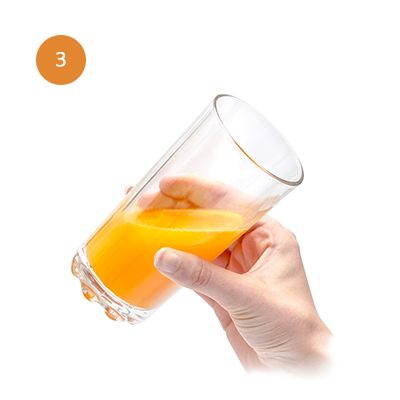 Tip one sachet into a glass. Add 250ml of water and stir well.